Listening deeply, with our full presence and attention is an art, a sacred art that contains unlimited possibilities for connecting to our heart’s knowing and our innate well-being. There are so many different ways we can learn to deeply listen, all of which involve a slowing down of our being. This slowing down actually has a deeply calming, unifying effect on our entire system. Just a few minutes of deep listening can have profound effects. We are continually (hopefully!) developing our capacity to listen, not just to others but to ourselves. When we listen from a place of presence, our inner wisdom is called forth to guide us on the next step on our journey. Such a simple and profound practice! 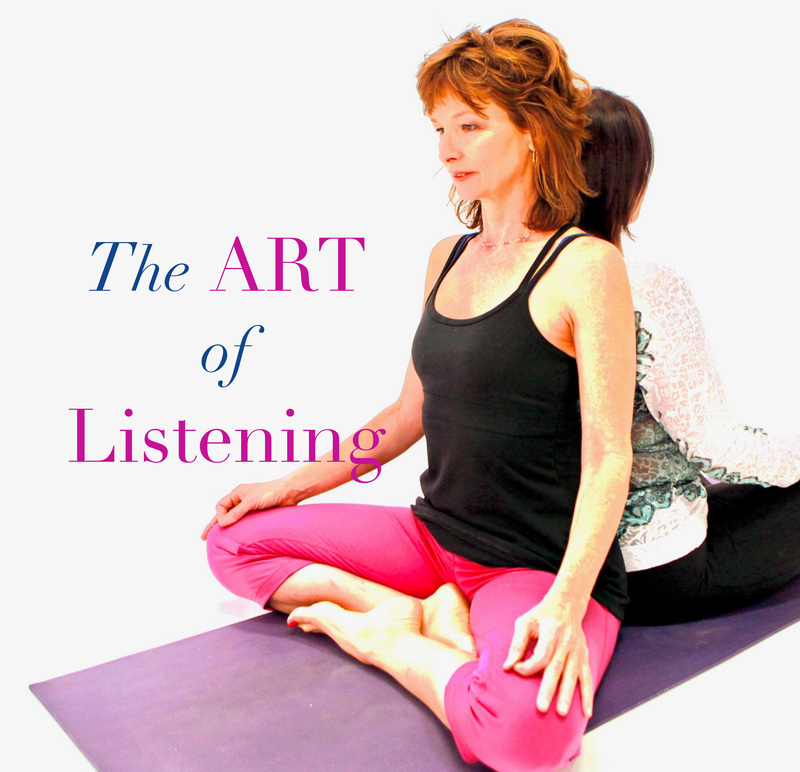 Partner Yoga is a powerful practice ground for listening. We learn to communicate directly, without words. Sitting back-to-back with someone is a simple heart-connected exchange of presence that is real and honest in ways that words sometimes are not. Try sitting back to back today with a friend or lover, simply listening. Then take turns sharing your experience. Remember to stay connected to your own being while listening to your partner.